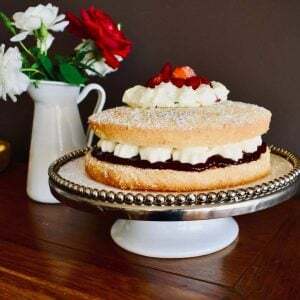 Want to enjoy an Easter treat minus the chocolate overload? 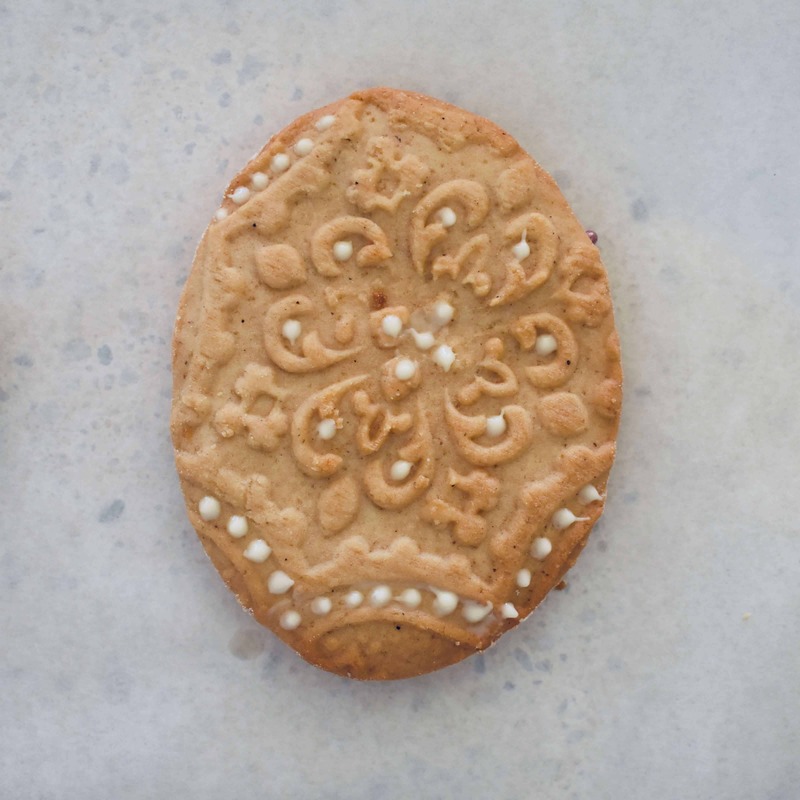 These Easter Biscuits are light and crisp, with a delicate spiced flavour and only a teeny bit of white chocolate. 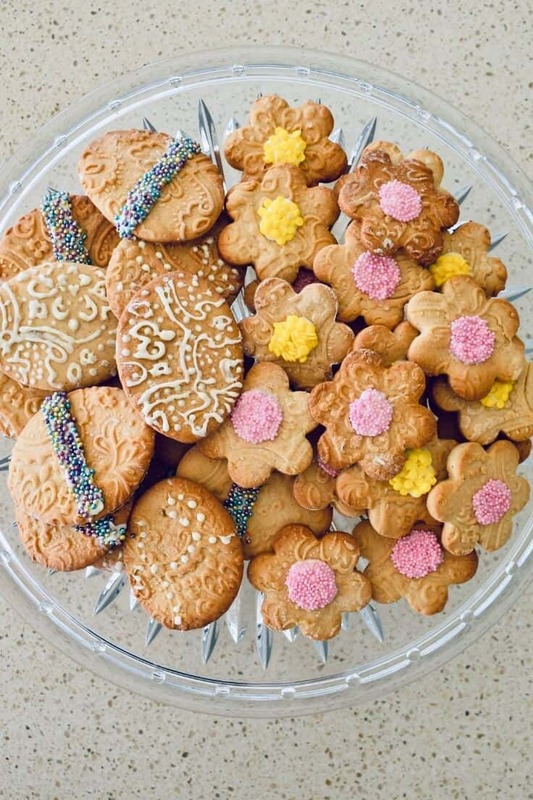 I’ve adapted this Easter Biscuits recipe from Nana Ling’s lovely Monte Carlo recipe. 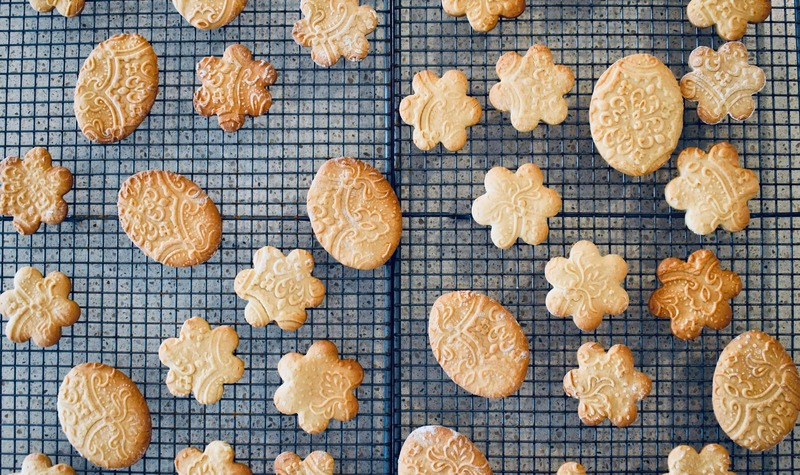 Apart from what’s on the ingredient list, you’ll also need some Easter cookie cutters to re-create these biscuits. Try your local supermarket, department store or specialist kitchen shop to find these. You can also simply use a flower cutter if you have one on hand, since flowers are also a symbol of Easter. 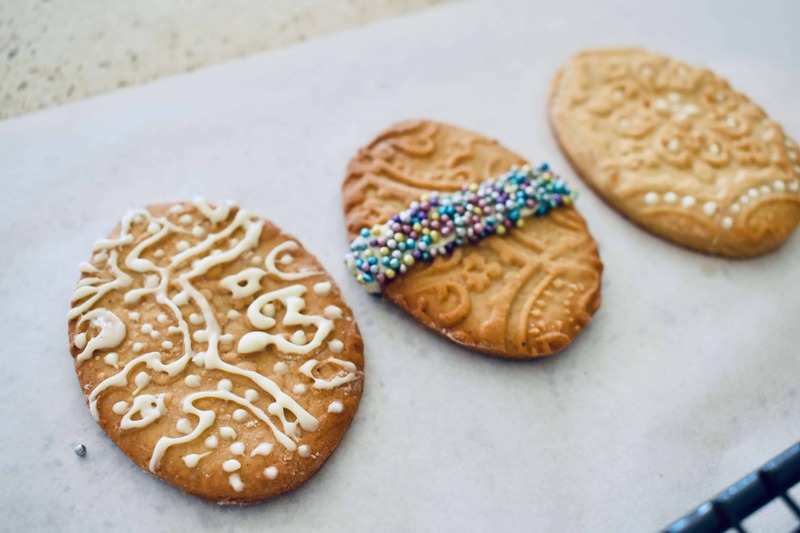 I’ve also rolled out the biscuit dough using an embossed rolling pin to make the Easter Biscuits extra special. I was unsure how to decorate these lovely biscuits, so myself, my mum and my eldest daughter, Miss Z, all had a go at decorating. Isn’t that one of the best things about cooking – sharing ideas, unleashing your creativity and being inspired by the creations of others? 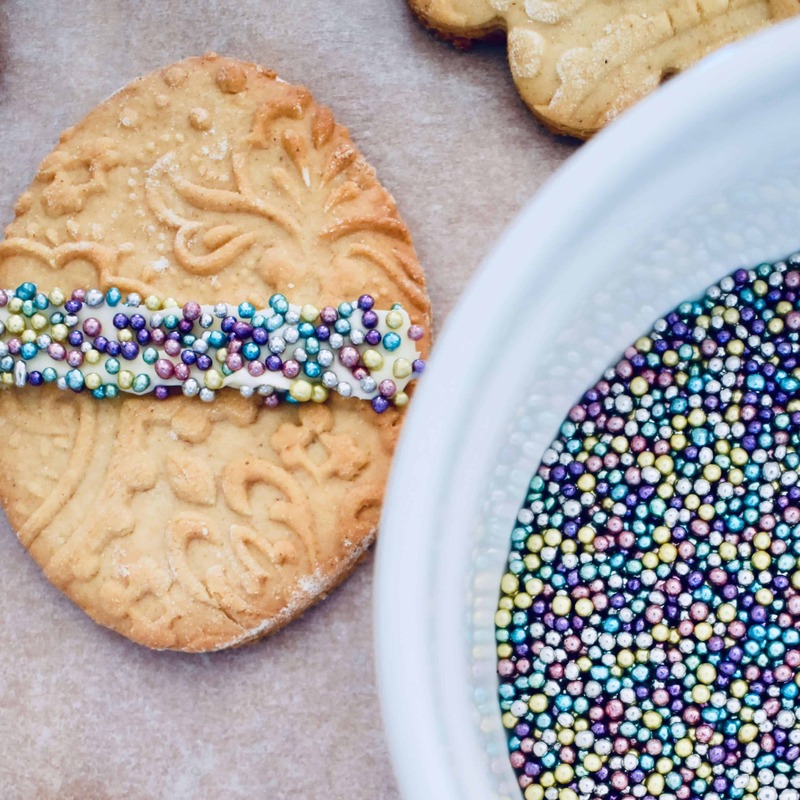 Easter Biscuits with mixed spice and decorated with white chocolate and sprinkles. Beat eggs and honey together and add to mixture. Beat together. Sift in flour and spices and mix to combine. Roll out mixture to 3-4mm thickness. I've used an embossed rolling pin to create the detail seen in the pictures. Use Easter cutter shapes and then place biscuits onto a greased baking tray. Bake at 180 degrees celsius (fan-forced) for 12 minutes or until a golden colour. When cool, decorate with white chocolate (melted in the microwave using 15 second bursts) and sprinkles.